I always been fan of all SAMs book and I guess main reason being the simplicity with way all their books are written and this one is no exception. I would recommend this for someone who wants starts with MS CRM. This one is also really nice book but I guess this one is for people who already knew CRM 3.0 or have previous experience in CRM system. This is best book so far for MS CRM but again this one is for advanced programming on MS CRM and mostly suitable for developer who already knows DOTNET and CRM as well. This is also nice handbook for beginner who wants to understand the MS CRM. This is only book that is specific to CRM workflows so who ever want to get more on workflow it is for them. 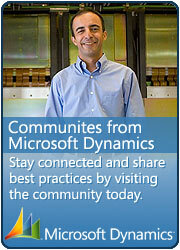 This entry was posted in Books, CRM 4.0 and tagged Books, Dynamics on March 18, 2010 by mayankp.